India is one of the rare countries in the world where Jews have never experienced anti-Semitism. Indian Jews now living in their “fatherland” of Israel share nostalgic memories of their rich history and culture in India. The old man laughed, and in laughing became a young man. The Indian-radio-technician-turned-Israeli-farmer, famous for his achievements in greenhouse flower gardening, marveled that his greenhouse in Israel was visited both by former Indian Prime Minister H.D. Deve Gowda and Israeli Prime Minister and legendary first leader David Ben-Gurion. Eliyahu left Cochin in 1954, at age 25, excited by the thought of becoming a new man in the new Jewish state. The origins of the Cochini Jewish community are said by some to date back to the time of King Solomon’s spice trade. The Bene Israel of Maharashtra, washed ashore on the Konkan Coast as a result of a shipwreck that is believed to have occurred sometime between the first and the third century BC, are presumed to belong to the tribe of Levi, being oil pressers as the Levites were. The Baghdadis, India’s most recent Jewish community, came from Syria, Iraq, and Iran as traders in the late 17th and early 18th centuries. Shalom Cohen, the first Jew of Calcutta, docked in 1685 to become the court jeweler of the Nawab of Oudh. A better known Baghdadi was David Sassoon, builder of the Sassoon Docks in Bombay in the 19th century. The Baghdadis settled primarily in Calcutta, Bombay, and Pune. There are an estimated 70,000 Indian Jews living in Israel today (the great majority of them Bene Israel), a little less than one percent of Israel’s population. In India, few remain. The Bene Israel are now barely 5,000, if that, where once they numbered upwards of 50,000. The Baghdadis, maybe 5,000 before Partition, have dropped to the low double digits in Calcutta, with handfuls still hanging on in Western India. The Cochinis, also in the low double digits, totter on the rim of extinction. Never very large, virtually all 2,000 of them left for Israel in the years following its creation in 1948. 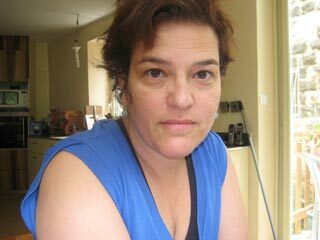 Fearful that the heritage of Indian Judaism will die out with the death of the last Jew in the subcontinent, Ruth Greenfield, 51, a Bene Israel, recently decided to collect, catalog, and digitize information on India’s Jews for future generations. (Eventually, this will include Pakistani and Burmese Jews.) Her efforts led to the founding of the Indian Jewish Heritage Center. 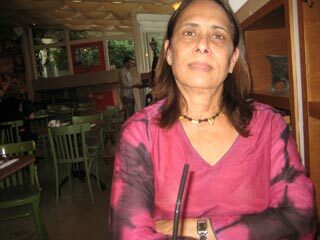 Sophie Judah, author of Dropped from Heaven, a book about the Bene Israel in India. Sophie Judah, a 63-year-old Bene Israel author whose book of short stories, Dropped from Heaven, was published by Shocken (2007), is a gracious woman who with impeccable hospitality offers her guest a chicken curry and something cold to drink. Her book, a rare work of storytelling about the Bene Israel in India, is unusual for yet another reason: the Bene Israel (also the Cochinis) existed outside the Jewish norm of a written tradition. The Baghdadis alone have sojourned in India with a written tradition brought with them from the crossroads of the Middle East. Noah Massil, president of the Central Organization of Indian Jews, dismisses the rabbinate’s historic rigidity regarding not having rabbis amongst them, with characteristic Indian tolerance. When the Bene Israel began arriving in the early 1950s, the Israeli rabbinate was reluctant to accept them as Jews, as they had no rabbis. So how then was Jewish divorce and the Jewish lineage established, Judaism being matrilineal? Noah Massil, 65, on whose lawn in Jerusalem the Indian tricolor waves together with the flag of Israel, dismisses the rabbinate’s historic rigidity with characteristic Indian tolerance. Israelites have experienced cruel forms of anti-Semitism in many countries, but India has been an anomaly. Everyone you talk to will tell you, with voices that sometimes break with gratitude, that they have never known anti-Semitism in India, that there has never been anti-Semitism in India. Around the year 1000, the Jews of Cochin were granted the Copper Plates of Privilege by Malabar ruler Bhaskara Ravi Varman, which among other things, exempted Jews from taxation. 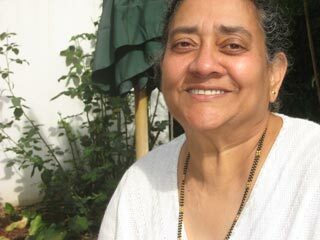 Linda Rivkind, a Baghdadi from Calcutta, is the rare Indian with a direct connection to the Holocaust. The synagogues were the center of Cochini life. When the Bene Israel left for Israel, there were still no rabbis and no rabbinical laws. They practiced a pared down Judaism: they prayed the Shema, the central prayer of Judaism, practiced circumcision, kept kosher, and as mentioned before, kept the Sabbath. There were more mundane issues involved in the Jews leaving India. A disproportionate number of Bene Israel served as officers in the British Army. They had acquired a reputation for loyalty. 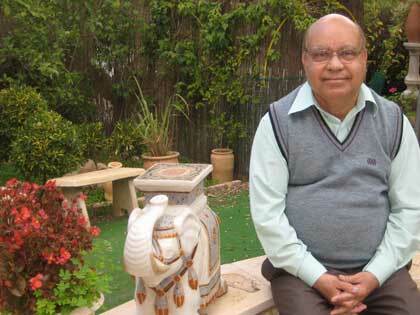 As a result, according to historian Nissim Moses, an Indian Jew, the Bene Israel were treated as a favored community. While they continued to serve in the Army of India, inevitably the plum jobs that had been given to them by the British went mainly to Hindus. Ephry Yona comments on how the Baghdadis were the most insular and British-influenced of the three Jewish communities in India. The wealthy Baghdadis, with a few exceptions, migrated to England, Canada, and the U.S. Only a few of the wealthy went to Israel. The Baghdadi middle class did go, brought to Israel by the Jewish Agency in the early 1950s. Yona’s father owned a jute mill in a town close to Kolkata. He was sent to England to study, then went to Canada, before coming to Israel. He shares with other Baghdadis an understandable nostalgia for the old Calcutta. “The community was like one big family, which in one respect wasn’t so good. Everyone knew everyone else’s business. But we had a big house, big grounds, a gardener, even a security guard.” He also had a mother who starred in silent films in Calcutta in the late-1920s and early-1930s under the name of Arati Devi. Over all, very few Indian Jews were affluent. The Cochinis, for example, included many small shopkeepers. The Bene Israel gravitated to the professions: teachers, lawyers, engineers, soldiers, and doctors. 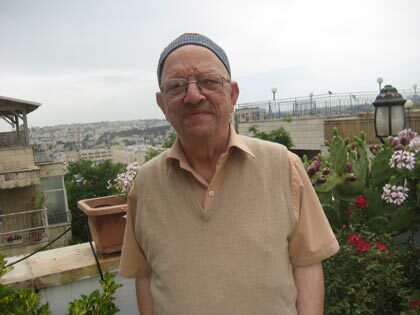 Daniel Reuven, an engineer from the seaside town of Bat Yam, is enduringly humbled by the fact that his grandfather’s cousin, Dr. Solomon Abraham Erulkar, was Gandhi’s physician. By and large, they wound up doing those same jobs in Israel. Similarly, a number of the English-speaking Baghdadis who were clerks in India found themselves employed as clerks in the Israeli customs offices, at the airport in Lod. With the Cochinis it was different. Townspeople who dealt in goods and services (and were less proficient in English), they were sent to work as farmers in settlements in the South, the North, and by the Jordanian border near Jerusalem, where they replaced the Yemenites who had grown tired of the armed incursions from Jordan. The Cochinis were the darkest-skinned immigrants in Israel at the time. The country was run by the Labor Party, Europeans with socialist tendencies, but questionable sensitivity to non-whites. 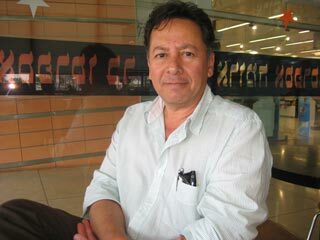 Yehuda Abraham, a second-generation Cochini married to an American, complained of hostile looks in the street as a boy, of being made to feel different. However, most Cochinis deny being discriminated against. And it can be argued that being sent to do rural labor was no indication of racism in a country that was still enthralled by the Zionist idea of the rural Jewish settler, the pioneer. Yitzhak Ashkenazy, an associate at the Indian Jewish Heritage Center, talks about political affiliations of Indian Jews. In his case, that is no small fact. Ashkenazy was in the Jamil Restaurant in Herzliya in 2002 when a Palestinian terrorist detonated a pipe bomb killing a young girl and shattering his son’s eye. His wife, an Argentine immigrant who until then voted for left wing Meretz, has ever since voted for right-wing Likud. But Ashkenazy continues to hope for a peace candidate, even though he is now doubtful that the other side wants peace. He takes in stride, like most Israelis, including Indians, the culture of risk that is a normal part of life here. Israel’s best-known and most controversial peace activist of the 1960s and 1970s, Abie Nathan, was a Baghdadi who grew up in Bombay. In 1966, he flew solo to Port Said to talk peace with Egyptian President Nasser. He was arrested in Port Said and returned to Israel, where he was arrested again. In the ’70s he inaugurated his peace ship, aptly named Voice of Peace, in international waters, from which he broadcasted lively music and peace programming to the Middle East. Unknown to many outside Israel is an ongoing cultural event that may be called, for lack of a better term, the India phenomena. Every year, Israeli soldiers, upon finishing military service, journey to India to free themselves from the pressure cooker of Israel, to lose themselves in India’s vastness and non-judgmental chaos, its tolerance of what the stranger brings to its shores. Nevertheless, these soldiers have little interest in the Indians living among them, possibly because Israel’s Indian Jews tend to be reserved, cooperative, model citizens. They don’t complain or draw attention to themselves. The large number of Indians in Israel often comes as a surprise to Israelis. 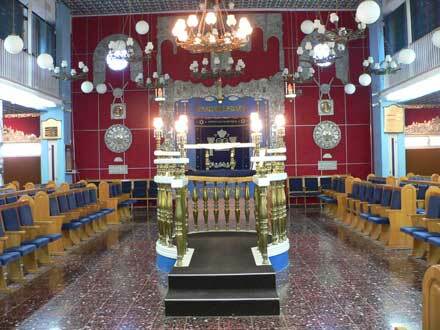 The sons and daughters of Indian Jews join in the national rite of passage to India. It has become the vehicle through which second- or third-generation Indian-Israelis re-connect with India. Children born to Indian parents in the 1950s or 1960s may still speak some Marathi or Malayalam. But that may not last long. Assimilation is inescapable in a beleaguered country in need of unity. Everyone learns Hebrew, serves in the army, is imprinted with an Israeli-Jewish identity. An Indian who does not have a single anti-Semitic memory will live within the emotional centrality of the Holocaust in Israeli life. Even though Canadian born, Rachel Yona was always aware of her Indian roots. Her encounter with Ram Surat Kumar in Tiruvannamalai, a few years later, had a much greater impact on her. “I sat with him every day. He would look at me and say, ‘You have all this information in your (Jewish) books. You should be looking in your own books.’ Sometimes he would ask me, ‘What does Judaism say about this?’” She was staying at the Ramana Maharshi Ashram across the road with its big library. She began reading its Jewish books. So, ironically, in this advaita corner of Tamil Nadu she became a practicing Jew, lighting candles on the Sabbath, saying the traditional Sabbath prayers. 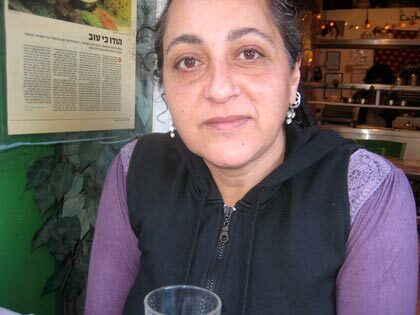 Lahava Silliman, owner of Ichikidana, an Indian restaurant in West Jerusalem. The good relations enjoyed by Jews and Muslims in India is something they remember. The Bene Israel often ate at Muslim homes, and had Muslims come to eat at their own homes. In Calcutta, Muslims became the caretakers of the three synagogues, no longer in use, and the Jewish Cemetery of Calcutta, very much in use. It is mainly Muslim girls who attend the private Jewish Girls School, where they must remove their hijabs before entering. Cochini Jews recall the respect and tolerance Muslims had for their religion. Being mainly a middle-class community, Israel’s Indians have not benefited directly from the boom in India- Israeli trade relations since the two countries established diplomatic relations in 1992. 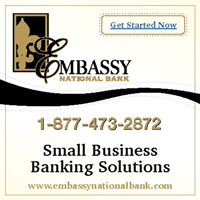 Trade has grown since then from $ 200 million a year to $ 5.5 billion a year at the end of 2011. Diamonds are India’s biggest export to Israel, while military equipment is the most prominent item Israel exports. Eliyahu Bezalel exported something more important than his flowers to India in the nineties: he exported his successful greenhouse technology that included drip irrigation, making seedlings compatible with particular kinds of soil, gauging the tension between soil and water. He imported this technology personally, charged nothing for it, and was happy merely to do his part to help Indian agriculture along. Robert Hirschfield is a New-York based freelance writer whose work has appeared in Outlook, Sojourners, Matador, and other publications.